While there's no shortage of weird and wacky ideas in science fiction about what creatures from other planets might look like, few are quite as remarkable as those that can actually be found right here on Earth. 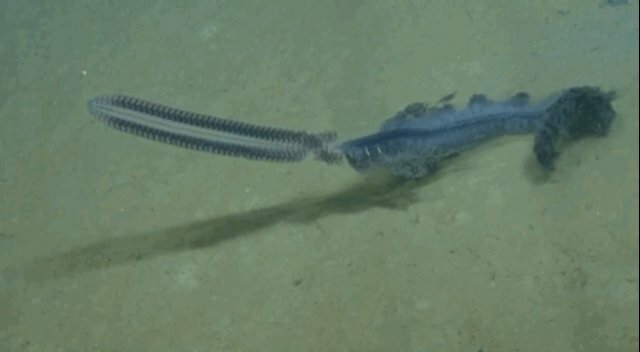 Recently, a team from the Nautilus Live expedition piloting a remotely operated vehicle (ROV) happened upon one of the most fascinating-looking lifeforms in the world -- this rare, purple siphonophore roving through the ocean's depths. 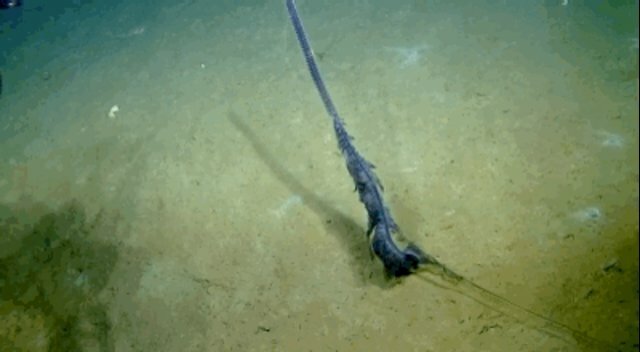 Even the experienced deep sea explorers, well-acquainted with the marine animals, had a hard time accepting that what they were seeing was really real. "Wow. 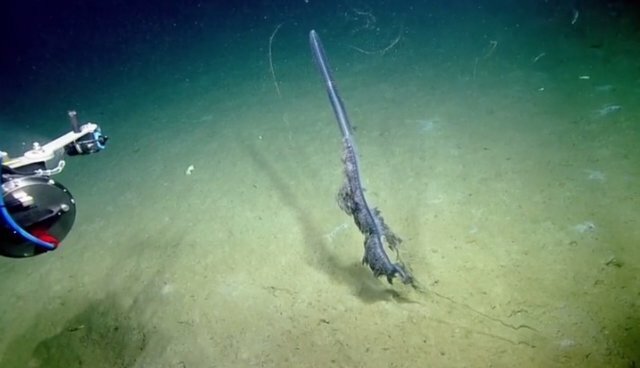 Okay, that's awesome," says one ROV operator. "I can't believe that's a living thing." "To me, the best part of science is stuff like this: seeing something that completely takes my breath away. Even after studying animals like this for the last five years, this video has me in awe. The animal captured in this footage, simply put, is stunning."